Acer on Wednesday unveiled its new Nitro XV273K display that features an Ultra-HD resolution and a dynamic refresh rate of up to 144 Hz enabled by AMD’s FreeSync technology. The new monitor brings 4Kp144 gaming with variable refresh rates to owners of AMD’s Radeon graphics cards. 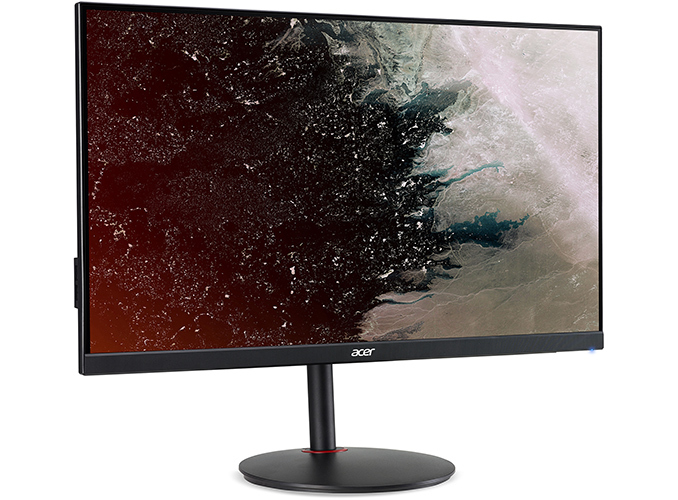 What is noteworthy is that Acer’s Nitro-series FreeSync-supporting 4Kp144 monitor is considerably cheaper than its G-Sync-supporting counterpart. 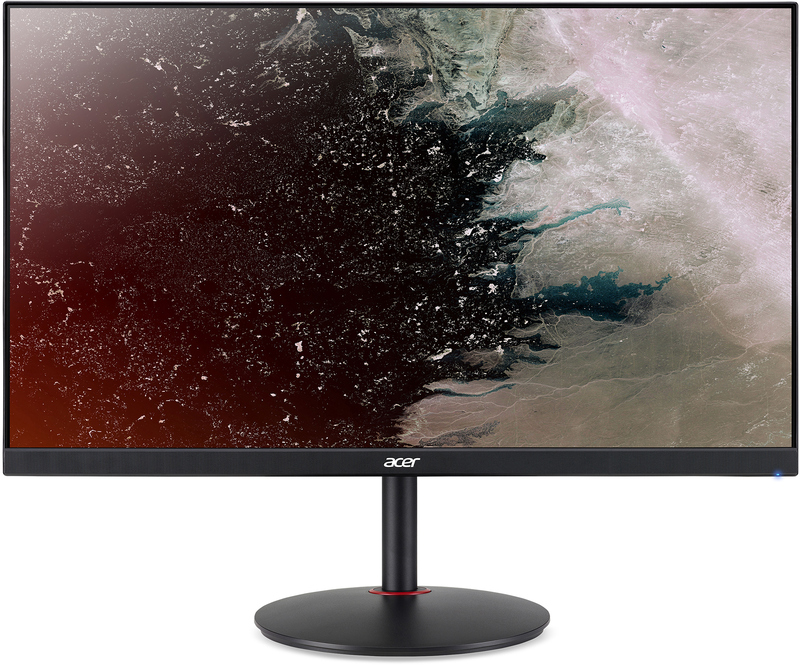 The Acer Nitro XV273K uses a 27-inch IPS panel featuring a 3840x2160 resolution, an up to 400 nits peak brightness in HDR mode, and a maximum refresh rate of up to 144 Hz. It is unclear whether the display is based on the well-known AU Optronics’ M270QAN02.2 AHVA panel that powers the G-Sync HDR as well as Acer’s Predator XB273K monitors, but this is a likely scenario (though it is not cast in stone as by the time the XV273K hits the market competing panels with similar specs may become available). Acer does not share all the specs of the Nitro XV273K LCD just yet, though it has confirmed that it supports AMD’s FreeSync dynamic refresh rate technology and carries VESA’s DisplayHDR 400 badge, thus supporting HDR10. In addition to the flagship Nitro XV273K, Acer also introduced its Nitro XV272U and Nitro XF272U monitors based on IPS and TN panels and featuring WQHD resolution along with an up to 144 Hz dynamic refresh rate with AMD’s FreeSync (see precise specs in the table below). All three Nitro X-series models cover 90% – 95% of the DCI-P3 color gamut, though it is unclear whether all of them are also DisplayHDR 400 certified (though it is highly likely that they are). The monitors look similar as they use practically the same 27-inch chassis that can adjust tilt, swivel, and height. 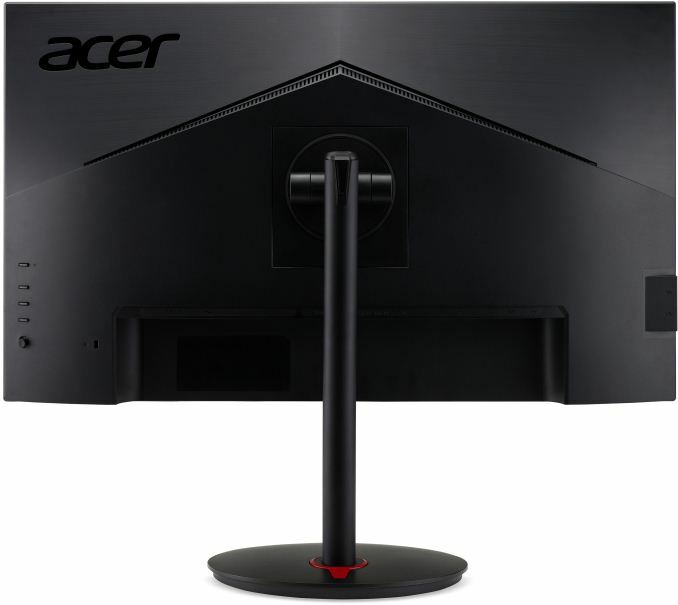 Acer’s new Nitro-series monitors with AMD’s FreeSync also feature the company’s Visual Response Boost (VRB) technology that promises to reduce motion blur in fast-paced gaming scenes and therefore make them look sharper. Acer does not explain how the VRB tech works, but it is highly likely the it relies on the same principle as NVIDIA’s ULMB and ASUS’s ELMB technologies. Both methods reduce motion blur by inserting a black image between each frame of video and thus reducing time each frame is displayed. The new Acer Nitro X-series displays will all ship in Q4. The flagship XV273K will cost $899, whereas the XV272U as well as the XF272U will be priced at $499 and $449, respectively. Peak 400 cd/m² ? ? Colors 1.07 billion (?) ? ? Power Consumption ? ? ? The image you have here is a Acer Nitro XV272U (XV2) not (XV3). The XV272U uses a Innolux AAS panel technology (M270KCJ-K7B). Here is another post showing it's Innolux.